Assignment: Select a career that interests you, one that you could plausibly imagine doing. (While it might be exciting to be a trapeze artist, traveling with a circus is an unlikely choice for most of us!) Next, you will research this career to learn as much as possible. The directions below include excellent resources to help you with this paper. Access the Georgia Career Information System at www.gcic.peachnet.edu. 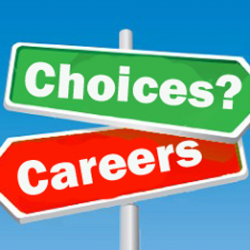 On the homepage, choose “Click here to enter.” To create a career portfolio. Instructions in iCollege. Go to Assessments tab/What are My Interests? link and complete "Career Cluster Inventory" and "interest Profiler." Learn as much as possible about your chosen career. The library instruction on using the career research guide will be invaluable in this stage of your assignment. Here is the address to access the research guide: http://research.library.gsu.edu/careerssummer. Questions to consider: What does someone in that field actually do on a day-to-day basis? What skills are required? What is the best type of degree to prepare for that work? What is the employment outlook? What is a typical starting salary? How might one advance in that field? Identify and explore the professional association(s) for people who work in your field. A good place to start is The Professional Association Finder at Career OneStop. How would belonging to that association benefit you if you decide to pursue such a career? Does the association offer scholarships that you might apply for? Do some research on how to write an effective resume; see pp. 530-35 in the textbook for helpful suggestions and guidelines. You will then write a resume that you can plausibly use now in a job search, whether or not it is related to your chosen career, and attach it to your final paper. Requirements: After you have conducted your research as outlined above, you will need to organize your findings into a four-page paper, with proper MLA-style documentation of sources and a works cited page. You must have a minimum of five secondary sources.